Jason Hook M-4 Sherman - Alpine White, V/XPL/FB Shaped Guitar from Gibson. 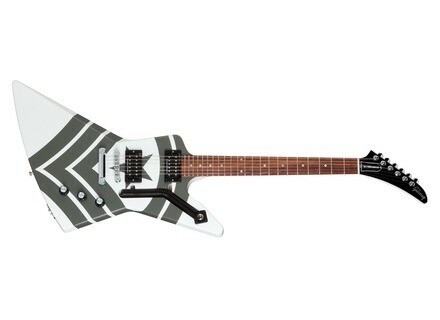 Gibson USA announces the availability of the M-4 Sherman Jason Hook custom Explorer, limited to 400 guitars worldwide. [NAMM] Gibson Joe Perry 1959 Les Paul Standard The Custom Custom Shop introduces a 1959 Les Paul Standard Joe Perry Signature guitar, a limited run available in 3 versions. [NAMM] Washburn Guitars brings back the Princess Washburn Guitars brings back an old friend with the re-release of the P4 Princess, one of Washburn's popular models from the '90s.